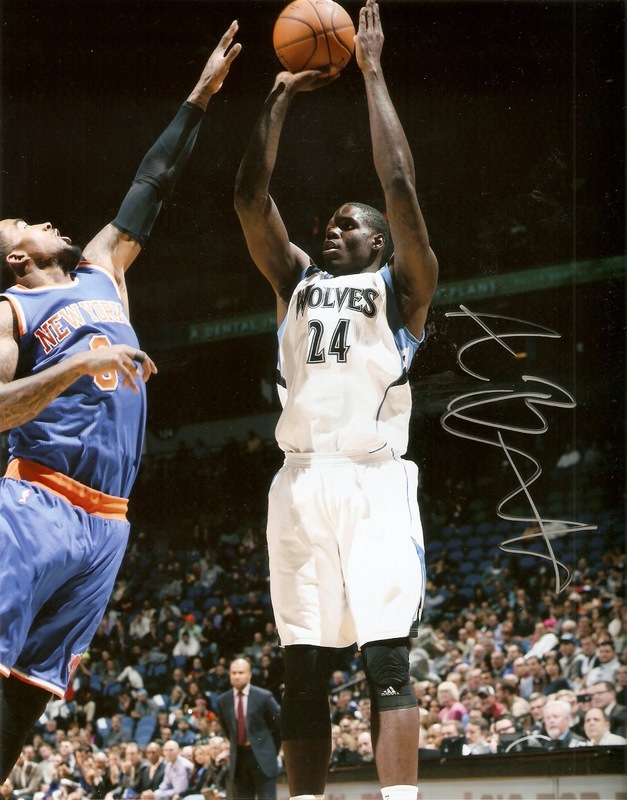 The other half of the Minnesota Timberwolves duo at the Minnesota Sports Holiday Show was Anthony Bennett, who signed a basketball and a couple of photos for me. Bennett was the number one overall selection of the 2013 NBA Draft by the Cleveland Cavaliers, becoming the first Canadian-born top pick in NBA history. Bennett played in 52 games of the 2013-14 season, but averaged just 4.2 points per game, and was traded to the Timberwolves this past off-season in the three-team deal that sent Kevin Love to Cleveland. Here's the thing. I know Bennett, to put things lightly, isn't regarded as one of the best players to be selected with the top pick, as a 4.2 PPG rookie season would reflect. Still, the fact remains that he was still the top overall pick, and a part of history in that regard, so I will proudly display my autographs of this former number 1 pick.